Abstract—This paper describes the system design and implementation of a vehicle management system and covers the following five sections: (1) GPS signal. (2) Microcontroller functions. (3) SD card storage technology with FAT32 file system. Most MCU use FAT16 file system to manage files, but it wastes a lot of memory space when small files are stored to each cluster. Using the FAT32 file system will ensure an efficient use of the memory space. (4) GPRS transmission. (5) Real-time monitoring Server, which is used to monitor vehicles accurately in real-time. The system adopts a web-based solution aimed at gathering the information of vehicle’s status and location in real-time. The location information is exposed with geographic coordinates, computed by a GPS processor in vehicle. The processor is embedded in the proposed device, a driving recorder, installed on a vehicle and responsible for transmitting location information to monitoring server. The recorder is a portable, highly accurate, and low powered vehicle tracking device, implemented with TI MSP430F5438 microcontroller. The authors are with Ming Chi University of Technology, Taiwan (e-mail: willchue@gmail.com). 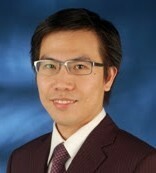 Cite:Jr-Jen Huang, Yi-Yu Chu, and Yen-Jen Chen, "The System Design and Implementation of Vehicle Management," Journal of Advances in Computer Networks vol. 1, no. 1, pp. 6-10, 2013.